A player getting their shot blocked is done using the following steps. 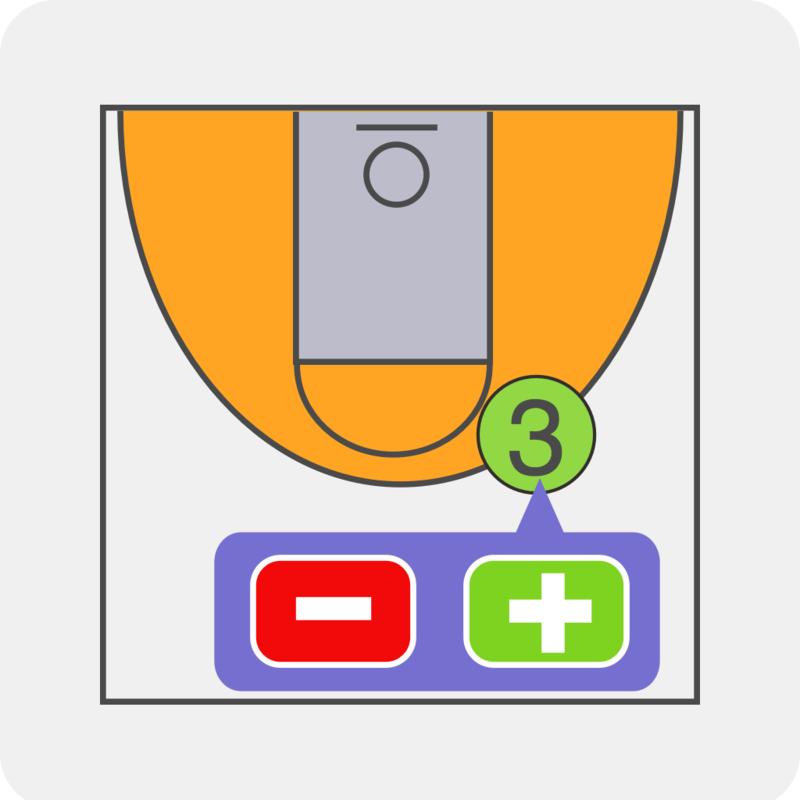 Select the team or player for the player awarded that blocked the shot, select the block button to record the block, touch the target indicator on the right side of the last event you just added. A list of the possible players to have been blocked will be presented. Select the appropriate player and a new entry is added following the block for the player that was blocked.